North on Elm Street, left on Cornwallis, Right on Granville Oaks Drive into Chiswick Park. House located in cul-de-sac. Hello, I’m interested in 17 Granville Oaks Court and would like to take a look around. The details on 17 Granville Oaks Court: This townhouse located in Old Irving Park, Greensboro, NC 27408 is currently for sale for $839,900. 17 Granville Oaks Court is a townhouse with 3 beds and 3.5 baths that has been on Estately for 5 days. 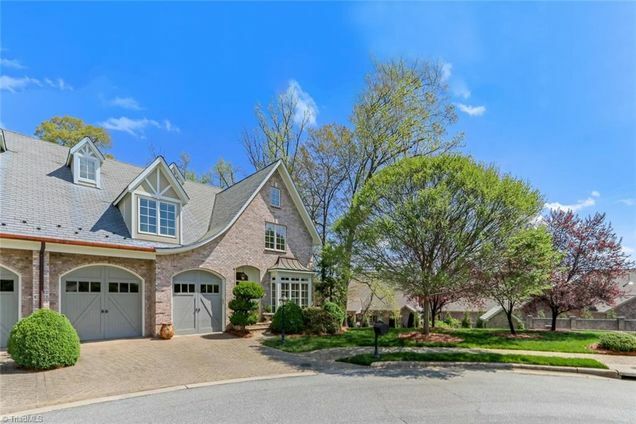 17 Granville Oaks Court is in the Old Irving Park neighborhood of Greensboro and has a WalkScore® of 58, making it somewhat walkable. This townhouse is in the attendance area of Page High School, Mendenhall Middle School, and Irving Park Elementary School. Listing Courtesy of: TRIAD and RE/MAX OF GREENSBORO.